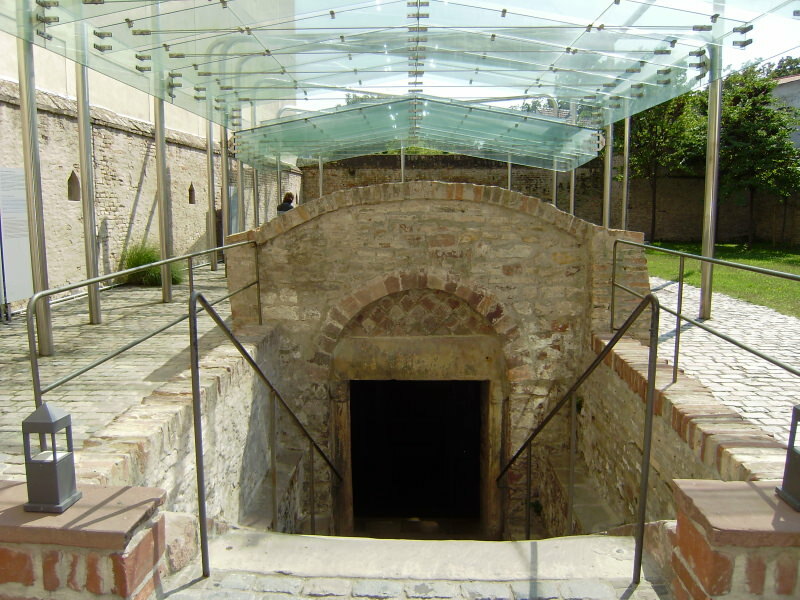 In the street "Grosse Pfaffengasse" a Jewish Bath from the 12th century can be visited, next to the remains of a former Synagoge. These are reminders of the time, when Speyer was an important centre of Jewish culture. Together with Worms and Mainz it was known as one of the Schum-towns, where the "Sch" stands for Speyer ("sch" is spoken in German like "sh" in English; and the locals pronounce it "Shpeyer" anyway), the "U" stands as Roman "V" for Worms ("W" in German is pronounced as "V" in English), and the "M" is of course Mainz. The immersion pool is at the very bottom, since it is a requirement that the water runs in naturally, in this case ground water.